A white-hot market for leased solar energy systems has cooled off dramatically since 2016, in the wake of customer complaints about hard-sell tactics, rising bills, questionable installations and a lack of government oversight, a Newsday investigation found. During the past decade, the environmental appeal of “going green” and reducing monthly electric bills has been promoted by state and federal governments, which enacted policies and subsidies that opened the door to a surge of solar panel sign-ups. Today, Long Island is New York’s solar king, with more customers than any region in the state – nearly 40,000 home and small office rooftops at last count. More than $1.3 billion worth of residential solar panels have been installed in Nassau and especially Suffolk since 2000, a Newsday computer analysis of state and utility records shows. These high-tech rooftop panels allow homes to draw electricity from the sun while displacing the utility’s need to draw power from conventional energy sources. And at a median cost of $35,000, these units have been offered by large companies, including SolarCity Corp., a subsidiary of Tesla Inc. run by entrepreneur Elon Musk. But the arrival of no-money-down solar lease deals on Long Island also has brought a host of problems. While the market grew at a steady pace from the first home solar system sales in 2000 with relatively few complaints, a move by LIPA in 2012 to allow solar lease companies to access its popular rebate led to a market explosion. Hawking systems at shopping malls, Tupperware-styled parties and invitation-only dinners, the solar industry sometimes aimed its efforts at senior citizens and others with limited incomes who unwittingly got locked into long-term leasing agreements for “no money down,” often with add-on costs in the fine print. In other cases, customers who signed 20- or 25-year deals for solar panels on their roofs have encountered complications selling or refinancing their homes. Homeowners say they were surprised to learn that little-known documents filed by the solar firms at county clerks’ offices listed them as “debtors,” complicating refinancings and attempts to sell their homes. Word of no-cost solar deals spread rapidly across the Island until 2016 and last year, when the boom in leased and other systems saw a sharp drop-off. Along with fewer customer sign-ups, the solar leasing market suffered from changes in government tax credits and rebates, financial and legal problems faced by some key leasing companies, and the looming prospect of foreign tariffs. On Long Island, new solar units dropped from a total of 11,444 in 2016 to 6,400 in 2017, a 44 percent decline, according to PSEG Long Island data. PSEG now expects about 6,600 solar connections this year, still far from the market’s peak two years ago. Nationally, for the first time ever, the top 10 states for solar installations, including New York, experienced a decline, experts say, as the rush for solar power has slowed. What determines if you’re a good candidate for solar? 5Rainfall is a factorHomes located near the water may require higher levels of maintenance of solar panels, given ocean and bay breezes. If it doesn’t rain enough in a given year, you may have to have the panels cleaned. Some industry officials say they believe the drop-off in installations is temporary and express confidence in solar’s lasting appeal. Encouraged by state and federal policies, Tesla’s SolarCity, Vivint Solar and other large firms have promoted themselves as the front line of a new wave of energy for Long Islanders — an environmentally friendly and cost-effective way for customers to get free of the local power company’s monopoly grip. “Utility rates here are the highest in the country, which means the customers who get solar are going to get some of the biggest savings,” said Chance Allred, chief sales officer for Vivint Solar, which offers mostly long-term deals known as a Power Purchase Agreements. With PPAs, customers pay for power based on a per kilowatt hour rate, while other lease deals usually rely on an fixed monthly fee. 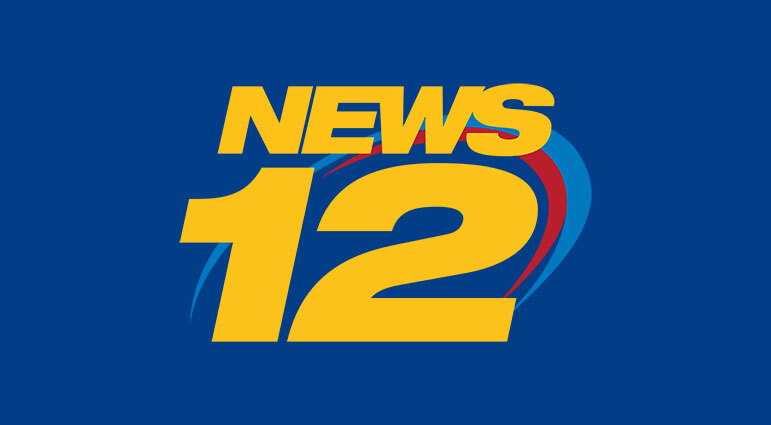 Locally, Newsday found a growing number of complaints in various places ranging from the New York State attorney general to consumer agencies to hundreds of frustrated homeowners seeking help at their local county clerk office. Real-estate experts warn consumer complaints and other problems facing the solar leasing industry threaten to complicate future home sales. Solar power has been around for decades. The scientific roots date back to Albert Einstein, who won a Nobel Prize in physics for identifying the photoelectric effect of sunlight, and America’s space program, which equipped spacecraft with solar cells. But generally solar wasn’t commercially viable until the late 1990s, when the sky-high price of panels dropped dramatically. For most customers today, “photovoltaic systems” on their roofs create electricity from glossy rectangular panels that absorb and convert the sun’s rays. This homemade wattage can be either used by the owners directly, or traded for credit with their utilities, who add the solar power to their grids serving other customers. On Long Island, solar power started to take off around 2000, spurred by generous Long Island Power Authority rebates and other state and federal incentives favoring environmentally clean energy. Only two units were purchased that year, and another 13 the following year, records show. By 2010, about 1,000 units were purchased on Long Island annually. 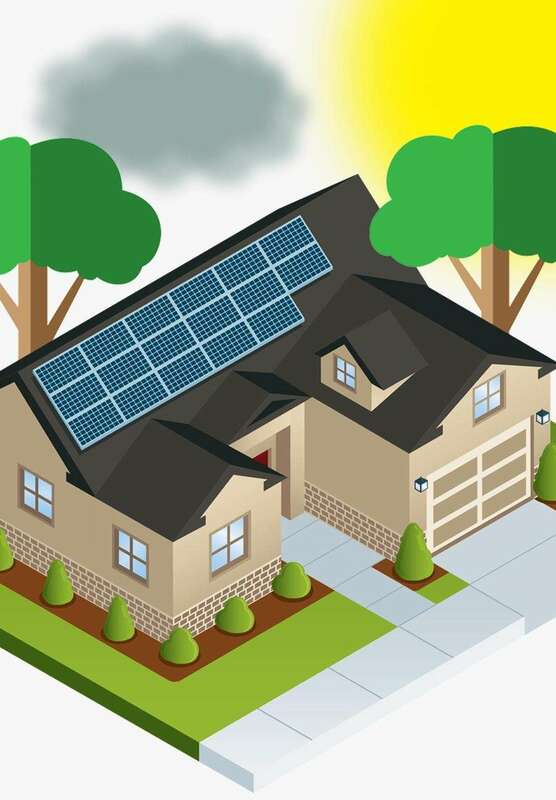 In the early years, experts say, generally affluent homeowners bought solar systems, with price tags ranging from $30,000 to well over $50,000, depending on the size and power potential of the unit. 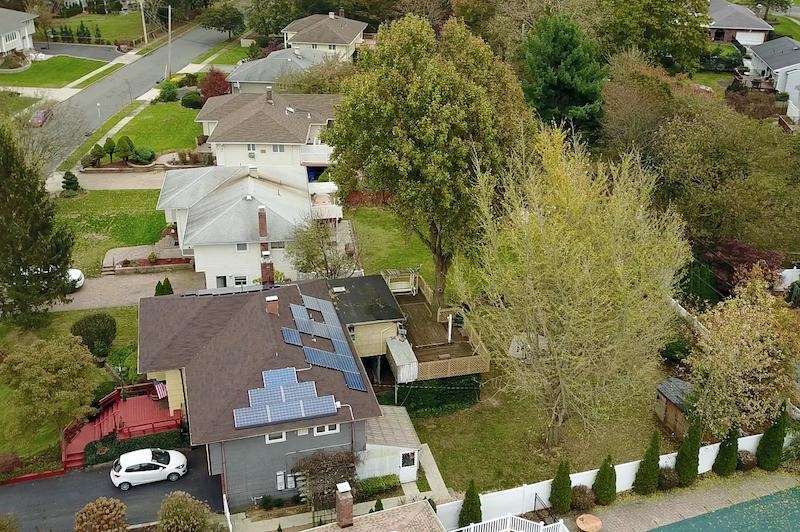 A Newsday analysis of solar installations with state incentives since 2000 shows that many units in the early days were placed on rooftops in places such as East Hampton, Southampton, Dix Hills and Gardiners Island. Local contractors who installed these systems touted them as capable of paying for themselves in seven years — and they often did. Tax credits for buying solar units could be taken off homeowner’s income tax bills. Many found the idea appealing — like having your own power plant on the roof. These state incentive records for Long Island — which reflect about two-thirds of the entire residential marketplace in Nassau and Suffolk — provide specific locales and prices on installed units. One of those satisfied solar customers was Harry Kubetz, a 65-year-old business executive whose ranch house in Northport was fitted with a large system purchased in 2005. The total $81,000 price tag eventually cost him about $27,250 out-of-pocket, after he received various federal and state tax credits and utility rebates, he estimated. The solar panels reduced his annual electric bill by half, he said, but that wasn’t his main motivation. By 2012, the doors for solar were flung wide open on Long Island. Federal income tax credits already provided a 30 percent credit for the cost of a system. But that year, Gov. Andrew M. Cuomo extended to the leasing market the same tax credit of up to $5,000 to help finance residential projects that purchasers already enjoyed. Utilities were directed by state regulators to buy excess power created by solar units. And significantly, LIPA provided a boost by extending to leased systems rebates valued at thousands of dollar per customer. As part of these deals, customers signed over their rebates to these leasing companies. Data from PSEG show the number rose to 11,444 and then dropped the following year. Cuomo pushed for New York State to become a leader in solar power. Nationally, it now ranks 10th in total installations. “As the federal government abdicates its responsibility to address climate change — at the expense of our environment and economy — New York is leading the nation in advancing a clean energy future,” Cuomo proclaimed last year. By 2014, some of the nation’s biggest solar firms — including SolarCity and Vivint Solar — had arrived on Long Island with a big marketing push. Some were represented by well-known political names. For example, NRG Home Solar’s parent company hired the lobbying firm headed by former Sen. Alfonse D’Amato to promote its solar business with state lawmakers. But the biggest change was in the type of Long Island customers signing up for solar. 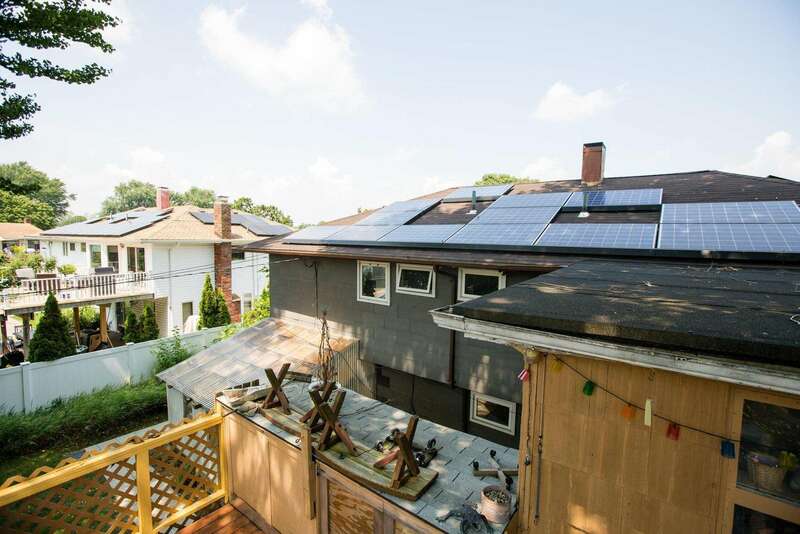 Along with wealthy homeowners buying their panels, many Long Islanders of more modest means agreed to long-term leases or similar power purchase agreements, or PPAs, touted by large national firms that made solar affordable to them as never before. Sunrun, another national firm offering primarily 20-year lease deals, says many customers are concerned with the reliability of Long Island’s electric grid. The desire for an alternative method of energy is particularly strong “because of how hard Sandy hit” in 2012, said Chris McClellan, regional director for East Coast sales. Following a national trend, New York’s big solar boom occurred in 2014-15, with Suffolk and Nassau accounting for nearly a third of all installations statewide. While solar units continued to be purchased in wealthier neighborhoods, lease-like solar deals were now found in more modest-income communities such as Lindenhurst, West Babylon, North Babylon, Brentwood and Bay Shore, records show. However, the terms of these new deals were more complicated than some customers realized. Under these “no money down” leases and PPAs, solar companies owned and operated the rooftop units, collected federal tax credits, and sold the power to the cooperating homeowners. Many of these deals included “escalator” clauses, calling for annual hikes of up to 3 percent. And the solar bill came atop of the regular monthly PSEG bills homeowners still received, particularly apparent during months when there was not enough sunlight for the solar panels to pay for themselves. Many of the leasing sign-ups started with a knock on the door, a telephone solicitation or salespeople pushing the benefits of solar at local shopping centers. Seniors in retirement communities or living on fixed incomes were particularly susceptible to the clarion call of saving money while being “green” with a nonpolluting power source, critics say. Too often, these older customers were poor candidates for solar and wound up disappointed in the results. An excerpt of the lawsuit brought by New Mexico Attorney General Hector Balderas against Vivint Solar. When Vivint Solar arrived on Long Island in 2012, said Allred, the chief sales officer, the company went door-to-door in neighborhoods to build up its clientele, but now relies mostly on word-of-mouth from satisfied customers. Allred says he hasn’t seen any drop-off in new installations, as reflected in state numbers, and rejects the idea that enthusiasm has waned for solar because of the industry’s tactics. But for many customers on Long Island, the once-glowing promise of solar energy has not been so easy. 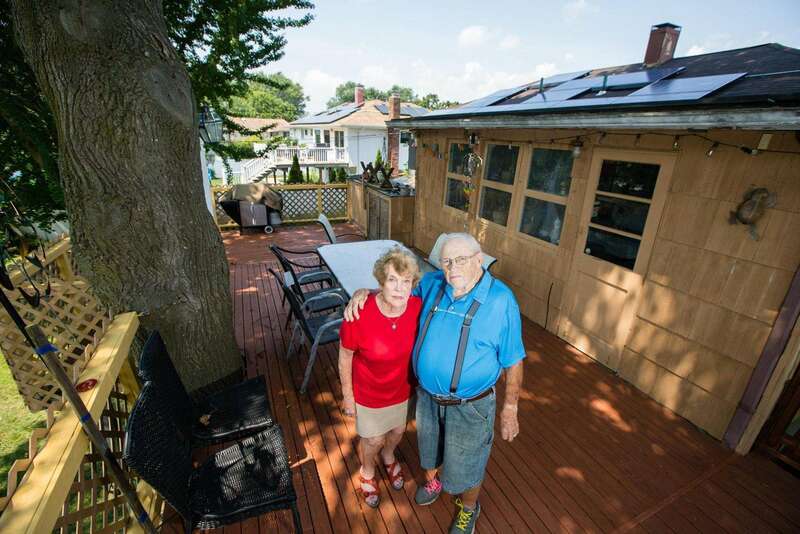 Mort and Marilyn Kinzelberg, a senior couple in their 80s who live in Commack, first heard about the benefits of leasing from a SolarCity salesman inside a Huntington mall. The Kinzelbergs liked the idea of “going green” by getting solar energy panels put on their roof. But they were particularly enticed by the promise of lowering their electric bills. Not willing to buy a solar system outright, the retired couple signed a 20-year lease and hoped for the best outcome. Under their agreement, the Kinzelbergs say, they expected to save as much as $1,000 a year. But there was a hitch. A giant tree in their backyard, draped over the roof like an outstretched umbrella, threatened to block the sun. The Kinzelbergs said they didn’t want to cut down the tree, attached to the second-floor porch of their two-story home. But the solar savings were not as much as the Kinzelbergs expected. Indeed, some months they even paid more to SolarCity than they used to pay with their old bills to the utility company. “They [SolarCity] were not honest with me and didn’t save me as much money as they said they would,” Mort said. After they signed their contract, they also realized it contained a 2.9 percent annual hike in their leasing fee. But Jonathan Lane, the lead solar instructor at Farmingdale State College, who examined the Kinzelberg home, said the elderly couple should have been told they were a poor candidate for solar – especially since they were unwilling to cut backyard trees overhanging the south portion of their roof. Lane, who installs solar systems privately, says only about 60 percent of Long Island’s 1.1 million residences and businesses are good candidates for solar. He says the rest have some obstacle – such as trees or limited roof space – that keeps solar panels from being a wise choice. Yet, he said, large, aggressive solar leasing firms too often sign up customers despite these obvious warning signs. Green-energy advocates emphasize that the many solar transactions, particularly those with established, reputable companies, are positive, and that most customers are happy with their systems. Gordian Raacke, executive director of Renewable Energy Long Island, a green-energy advocacy group, was among the first LIPA customers to have a solar system put on the roof of his East Hampton home in 2002. “My system paid for itself in a few years; it’s paid off and it’s still cranking,” he said. 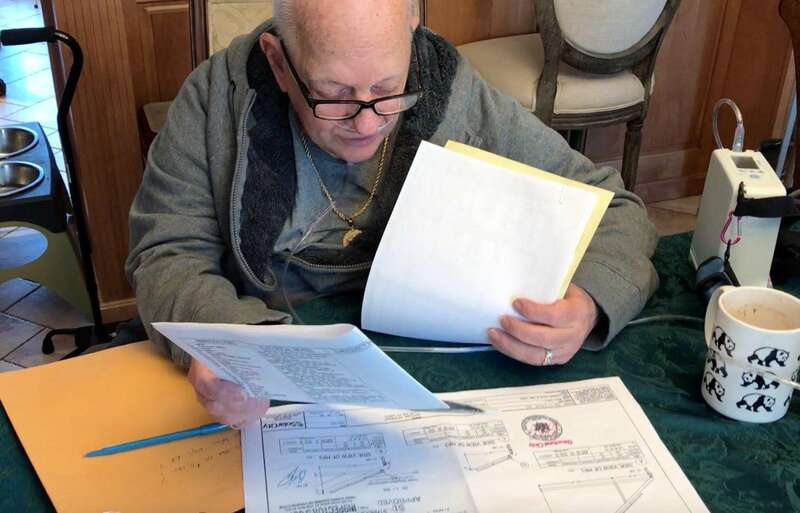 Maccone, who lives with his family in a North Bellmore home, is another senior who says he’s stuck with a long-term, under-performing solar deal. Maccone first considered solar when a telephone saleswoman called his home interrupting dinner. He remembers the saleswoman had the same first name as his daughter. Speaking with the aid of a oxygen tank, Maccone said he didn’t think he could afford solar. He said the estimated pricetag of nearly $30,000 to buy a unit for his house was always too exorbitant for his family’s finances. The retiree said solar only became affordable because of a promise of no money down under the leasing agreement he signed in 2014. Maccone said SolarCity promised big savings when it installed panels on the house where his family has lived since the 1950s. But that reduction in electricity costs never happened, he said. Maccone used to pay about $450 a month to the utility company, but now he said he pays on average about $300 monthly for electricity and another $175 a month for a leasing fee. In New York, solar panel installation companies experienced their largest period of growth between 2014 and 2016 as an industry without oversight of the state Public Service Commission, which regulates utilities. Even though they are connected to the region’s overall power grid and local utilities are required to buy excess power produced by homeowners, the state has only recently undertaken efforts to rein them in. For the past several years, the Cuomo administration has pushed new initiatives promoting solar power, but state regulators refrained from fielding complaints or reviewing the services provided by solar firms. The New York Attorney General’s Office told Newsday it has received 48 complaints statewide since 2016 from upset solar unit owners and is reviewing the actions of one particular solar company that it would not identify. “Our investigation remains ongoing and we encourage any impacted New Yorkers to contact our office,” the spokesperson said earlier this month. “Distributed energy providers, such as solar panel installers, are instrumental in helping build a cleaner, more resilient electric grid,” PSC spokesman James Denn said in a statement. “However, while we encourage these companies to grow in New York, we will also ensure that consumers are protected from fraud and dishonest marketing. Under our recently enacted rules, consumers will be protected.”It’s unclear why the agency didn’t adopt the new rules until this year. Across the nation, critics say, customers with solar problems are similarly at a loss about whom to complain to — other than the solar firms themselves. “Because state utility commissions do not regulate the leasing contracts, consumers may find themselves in a regulatory-protection limbo should a dispute arise,” explains Public Citizen’s Slocum. The solar leasing company “in effect becomes the utility for the consumer,” he said. Slocum said seniors and other consumers are often surprised by the fine print in solar contracts calling for mandatory arbitration, eliminating the chance to file a lawsuit for alleged wrongdoing, or to file class-action suits to help defray litigation costs. “They are poorly equipped to deal with these companies because they are denied the ability to go to court,” Slocum said. Instead of pleading their case before a judge, Slocum said, these consumers usually are strapped by contract terms that “require use of a company-friendly arbitration process that advantages the solar leasing company and leaves the consumer unable to appeal.”His group has asked the Federal Trade Commission to ban mandatory arbitration and to allow solar customers to go to court if necessary. On Long Island, Newsday found consumer watchdogs rarely investigate or even receive solar complaints. Responding to a Newsday Freedom of Information Law request last year, Suffolk’s Department of Consumer Affairs reported eight complaints from 2014 to 2016. Most were marked “satisfied after mediation” or unresolved by some factual dispute. Nassau said they didn’t receive any complaints. Local officials said they didn’t know if solar contracts, which often require mandatory arbitration, had affected the number of complaints they received. But on Long Island, there’s one place receiving plenty of inquiries from upset solar homeowners – the county clerk’s office. And the problem usually involves a little document known as a UCC-1. Most homeowners had no idea that these documents had been filed by their solar companies, listing them as “debtors,” until they tried to sell or refinance their home. In the past four years, 23,525 UCC statements were filed in Suffolk alone, the majority reflecting the big upsurge in sun-powered renewable energy during the past decade. In Nassau, the number of UCC-1s filed nearly doubled from 2012 to 2016, officials said. One firm alone, Vivint Solar, had nearly 1,000 UCC-1s filed in Nassau in recent years, records show. Solar companies say they file these certificates as a way of protecting their ownership of the “fixtures” installed on the roofs of their customers. But they can cause unforeseen hassles for solar homeowners. Just ask Barry Geller. He said the UCC on the solar system attached to his West Hempstead house created a nightmare when he tried to refinance. Geller said he was attracted to leased solar power when he saw a TV ad for a company called NRG Home Solar, which promoted itself during the Super Bowl. Its slick Hollywood production values and futuristic message were impressive. Geller said this commercial for NRG Home Solar spurred him to look into leasing panels from the company. But various complications left the system installed but not hooked up for a year. And while NRG gave him $800 to remove a tree in his front yard, the total cost for the job was $2,000, and he had to pay the balance himself. 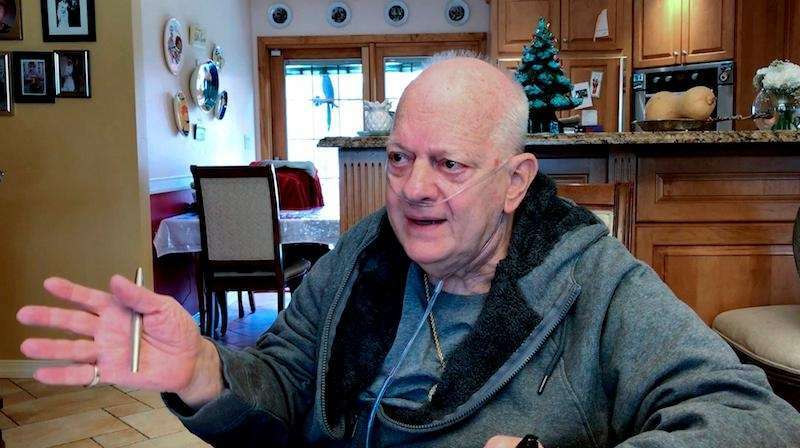 Geller said he’s been dissatisfied to learn that his system is only saving him around $50 a month on his electric bill, and that in some months, the bill is even higher than it was prior to his having the solar installed. But his biggest nightmare came when he tried to refinance his home to do some costly remodeling. A copy of the UCC-1 filed by the solar company that installed Barry Geller’s panels. The UCC problem was compounded by the fact that the Gellers had already hired contractors to rebuild their house, so they couldn’t wait for the delayed refinancing to go through. Instead, they put tens of thousands of dollars on their personal credit cards to pay for contractors and materials. Geller said he’s been told he can permanently remove the lien on his house – if he pays the full value of the solar system, which he said is $32,000. But as far as he’s concerned the system is worth only $12,000, given his estimated savings of only $50 a month. Nationally, critics like the New Mexico attorney general say UCCs have created unexpected headaches for solar homeowners around the country. Potential buyers, mortgage companies, title searchers and their attorneys may balk at purchasing property with UCCs attached to them, they say. Solar firms contend that UCCs are not liens and say they cooperate with homeowners who want to sell their homes. “We are aware that lenders prefer not to see anything on the title so it’s common practice for us to release the UCC-1 fixture filing for financing purposes and re-file later,” said Solar City on its website, with a team dedicated to this task. While leasing companies say UCC filings can be temporarily lifted for refinancing transactions, new owners of a home with a leased system must either qualify for and assume the lease, or the seller must buy it outright. Real estate agents are bracing. “We do see that there is a potential disaster looming for home buyers who are stepping into these transactions not aware that there are potential leases,” said Susan Hamblen, owner-broker at Exit Realty Achieve in Smithtown, who, like other firms, now requires her agents receive extensive solar training to navigate the complex transactions. Despite claims to the contrary, Walter said solar leases most definitely encumber homeowners with financial liens against their homes. “It’s absolutely a lien,” he said. “They [leasing companies] file a UCC and a financing document in the clerk’s office.” In one case, Walter said, a client actually had a second mortgage on his home tied only to the solar panels and installation costs. More broadly, Walter said, the contracts give the solar companies all the leverage. With a solar lien attached to a home, a new buyer of that home has to be creditworthy to assume the lease — if they want it at all. If not, the seller has to make an accommodation in the price, or buy the system outright and essentially give it away as part of the sale. “You have to be creditworthy in the solar company’s book in order for the lease to be transferred,” Walter said. And your credit score can actually be lowered by the amount of cost tied to the solar lease. “You can borrow less money” with a UCC solar lease on your credit record, he said. In one case, a client paid around $20,000 for the solar system that didn’t increase the value of the home proportionately when he sold it. “He’s basically gifting these solar panels” to the new owner, who gets a free electric system and a zero energy bill, Walter said. “Leases have potential increases as well as very faulty guarantees in some circumstances,” she said. “The buyer really has no knowledge of what they’re getting into, what they’re signing up for. Unfortunately, we’re also finding that some of the vendors in the field, the real-estate attorneys, the mortgage people, are not yet brought up to speed with the things in solar. So we’re trying to educate buyers.” She’s also conducting educational programs for the attorneys, mortgage managers and even other Realtors, she said. Sunny or cloudy days ahead for solar? Overall, experts offer a number of reasons for the recent drop-off in solar panel installations on Long Island — and what it might mean for the future. Some point to state and federal incentives — such as rebates and tax write-offs that fueled the industry’s rapid rise earlier in this decade — that are now on the decline. A national study for the trade group SEIA found solar installations in 2017 fell 30 percent from the year before and predicts sign-ups will be lower through 2022 because of new tariffs on imported panels and changing tax laws. Another reason for the dropoff is that Long Island’s largest installer, Solar City, is moving away from lease deals for solar panels toward cash sales and loans, and promoting a full solar roof model considered more profitable. The overall market decline in Solar City’s panel installations in recent years is compounded by the departure of other large solar companies that once competed in the Long Island market. Word-of-mouth among solar customers with long-terms leases — angry about such controversial issues as “escalator clauses,” UCCs and other factors in the fine print — has also taken its toll.